The NEJM Horizons Conference was a 3-day meeting in October 2008 arranged by the NEJM that focused on the future of medical publishing. The participants included 20 physicians in training from the U.S. and around the world and the NEJM editors and staff. This is the third and final part of my 3-part series of reflections from each day of the meeting (click here for Day 1 and Day 2 updates). Disclaimer: The posts will reflect only my thoughts rather than the plans of the NEJM for the future. Those readers who expect to find any hints of the NEJM future products will be disappointed because there will not be any. "#NEJM" to make them searchable. I soon received some positive feedback from my Twitter followers who found them interesting. It looked liked some of the NEJM editors also thought my Twitter posts were useful or at least amusing. Day 1 was focused on meeting the NEJM editors, staff and conference participants and creating profiles of the typical users. Day 2 was focused on the web tools that conference participants liked the best. - Add video summaries by the authors (and possibly the editors) to each research article. - Add specialty specific pages plus sections for student/residents with MCQ. - Add a video summary by the editor on the front page - 5 minute long, make it available on YouTube. - Add embeddable audio/images/video and articles - similar to Google Books. - Add editor(s) blog especially to the international editions of the journal. - Add a social network, let users create profiles, communicate with each other, search for mentors, use for job search. - Make the NEJM a "one-stop shop" for medicine -- Google/iGoogle for medicine. 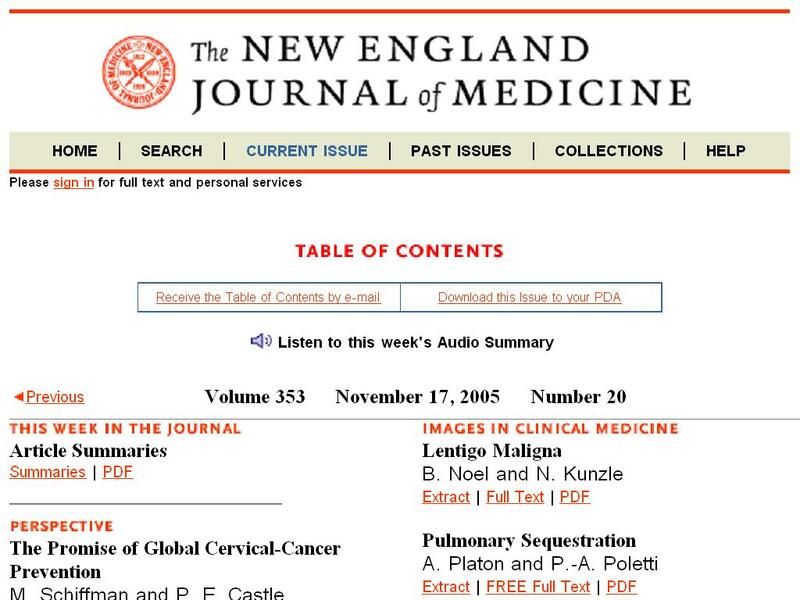 - The NEJM should have a gadget with top articles/audio/video for iGoogle, iPhone, G1. - Found again that I could not participate in the discussion and post on Twitter at the same time. Will update later. Great ideas though. - It would be a good idea for the NEJM to add patient information handouts but they should be different from JAMA handouts, focused on disease rather than a particular article. - Add boxes within the article, similar to BMJ or Annals of Int Medicine, for example, "How do these findings apply to your practice?" or "What to do" summaries for review articles. - Add a social network around NEJM. - Note to other medical meeting organizers: you must have a social network website for each meeting. Experience is so much better. - Overall, great meeting, met a lot of interesting people. Will continue to collaborate via NEJM Ning website and stay on the advisory board. "We prefer to be slow and right rather than fast and wrong"
- Jeff Drazen on adopting new web tools: "We prefer to be slow and right rather than fast and wrong." - What if UpToDate opens it model and makes money from display ads? 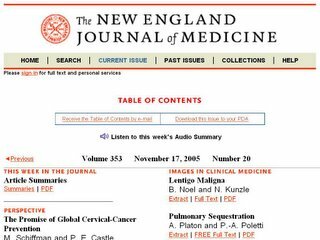 What will happen to NEJM page views? - What if UpToDate launches its own journal? - The NEJM is pretty much focused on its core mission: being the top medical journal. Should it expand and become a "one stop shop"? "One stop shop" was the phrase used repeatedly by the conference participants to describe their ideal for a medical publishing platform. - Talking to Dr. Drazen, I compared the NEJM to Google. Google was only a search engine and is a "one stop shop" now. - I cannot and will not comment on the future NEJM website features. Suffice to say, some suggestions are under serious consideration. - On Day 3 of the conference, we discussed suggestions for the NEJM -- both online and paper versions. More than 95% of the suggestions were focused on the online version of the journal ("what is paper?"). - The NEJM staff showed a few new features to be launched in the coming weeks/months.